Louisiana is chock-full of festivals year-round showcasing cultural experiences and delectable dishes unique to our way of life. As the weather warms and springtime blooms throughout the state, families will not want to miss events such as the Sunflower Trail and Festival, the Rayne Frog Festival and Kite Fest Louisiane. Sunflower Trail and Festival What began as one farmer’s idea to plant sunflowers at his home, and then invite friends to enjoy the bright happiness that their beauty evokes, has evolved into the Sunflower Trail and Festival in Gilliam. As you near the site, thousands of blooming sunflowers will greet you. Upon arrival, be sure to stop on Sentell Road, in the town of Dixie, to visit the golden fields of varieties of sunflowers as far as the eye can see. Get an up-close look and snap some pictures to preserve the memories. You can even clip a couple of sunflowers to bring home. Festival activities are free and include crafts for children, performances by local music groups, as well as artwork for sale by local artists. 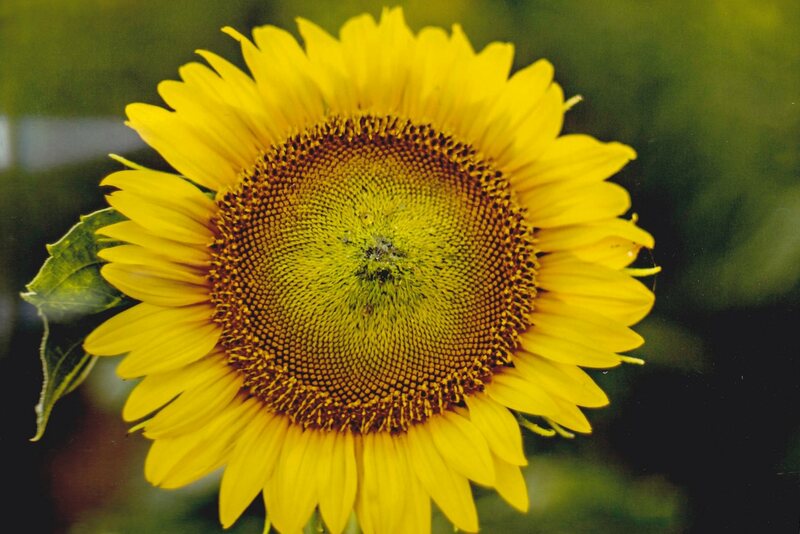 Festival goers can enter a sunflower photography contest. Food is offered by vendors during the festival, or try one of the favorite local area restaurants, including Main Street Restaurant, Adger’s Stone in Gilliam, or The Wild Petunia and D & I General Store in Belcher. This year will mark the 21st anniversary of the festival, which will take place on Saturday, June 15th from 9 a.m. to 3 p.m. For more information about the Sunflower Trail and Festival, visit redrivercrossroadshistorical.org, the Sunflower Trail and Festival Facebook page at facebook.com/sunflowertrail, or call (318) 296-4303. Rayne Frog Festival If you are up for a hopping good time, the Rayne Frog Festival, which takes place in the heart of Cajun Country in Acadia Parish, is “toadally” awesome! Participants can bring live frogs in cute costumes, enjoy carnival rides and savor frog leg snacks. The one-of-a-kind event has run since 1973, when Rayne, the Frog Capital of the World, held its first-ever Frog Festival. The Rayne Frog Festival is just one of the many annual festivals in the Southwest Louisiana region that celebrates a specialized industry — in this case, it’s the production of frog legs. The glee throughout the town is infectious as the streets are adorned with creative and silly frog murals throughout May. Each year, an area teenager is chosen as Frog Derby Queen based on her knowledge of the town’s history and her commitment to the community. She then rides in a parade during the festival and waves to frog fans lining the street. Come join the fun, celebrate the legacy and support the future of frog dishes on the dinner table. Mark your calendar for May 8th-11th, 2019 and head to the Festival Grounds and Civic Center in Rayne, Louisiana. Activities include frog racing and jumping, selection of the Rayne Lions Club Derby Queen, a Diaper Derby, an arts and crafts show, a frog cook-off, a frog eating contest and so much more. Admission is $5.00. For more information, visit raynefrogfestival.com. Kitefest Louisiane Imagine a beautiful blue sky dotted with puffy white clouds, filled with colorful kites bouncing around in the light winds of a spring afternoon. That’s the scene of Kitefest Louisiane. Named by both Louisiana Travel Association and the Southeast Tourism Society as the “Festival of the Year,” this festival draws kite lovers, young and old, professional and amateur, to the close community of Port Allen in West Baton Rouge Parish. This year, Kitefest Louisiane will host Student Day on April 5th, and family activities will open to the public on April 6th and 7th. Fun-filled days will include, not just kite flying and spectating (don’t forget to bring lawn chairs! ), but there will also be a kite-making workshop, an area for kite designing, as well as inflatables and face-painting for the little ones. Enjoy a meal from Louisiana food booths and an indoor flying demonstration by kite flying champions. Admission is free. For vendor questions or applications, call (225) 344-2920, and for more information, visit westbatonrouge.net. Whether you choose just one of these festivals or make the trip to all of them, you can see that family entertainment is always a drive away. Happy spring festing!